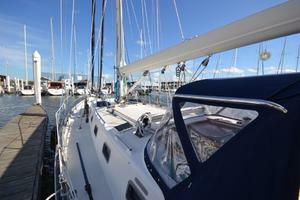 Now at our office ! 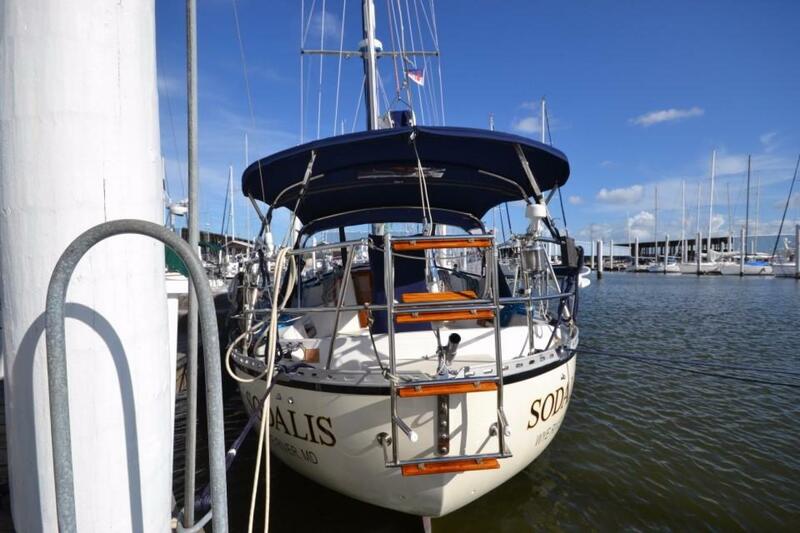 Sodalis is the best Pacific Seacraft 40 on the market today and is the newest available WITH the best options. 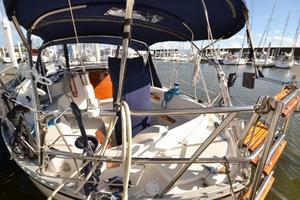 Never hard cruised. 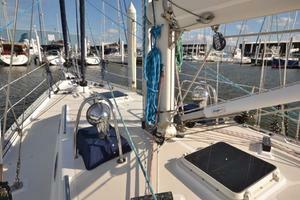 Never south. Excellent condition. 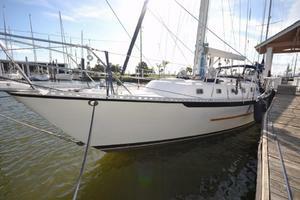 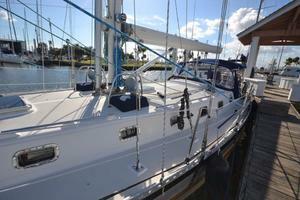 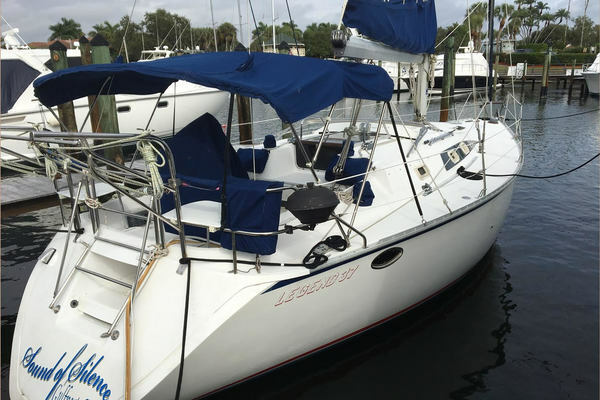 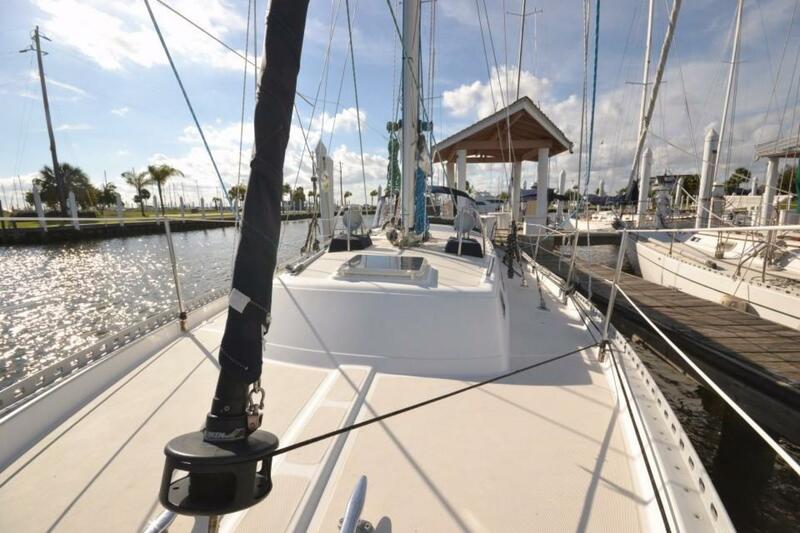 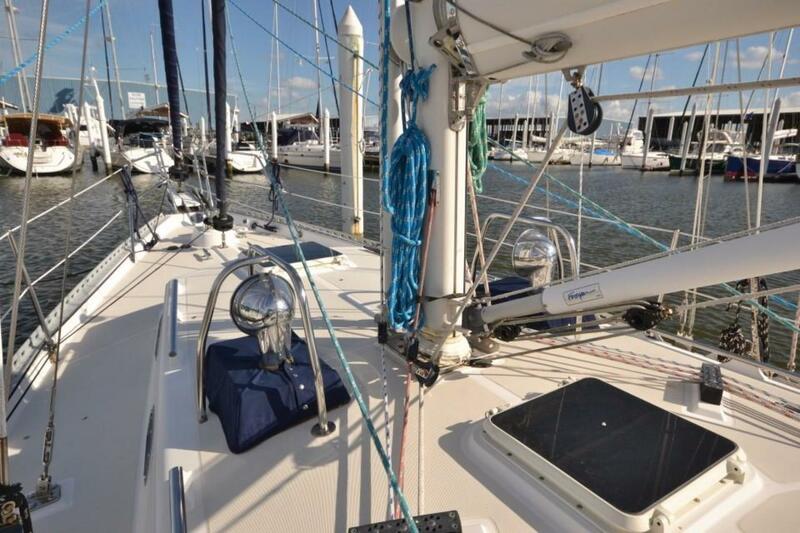 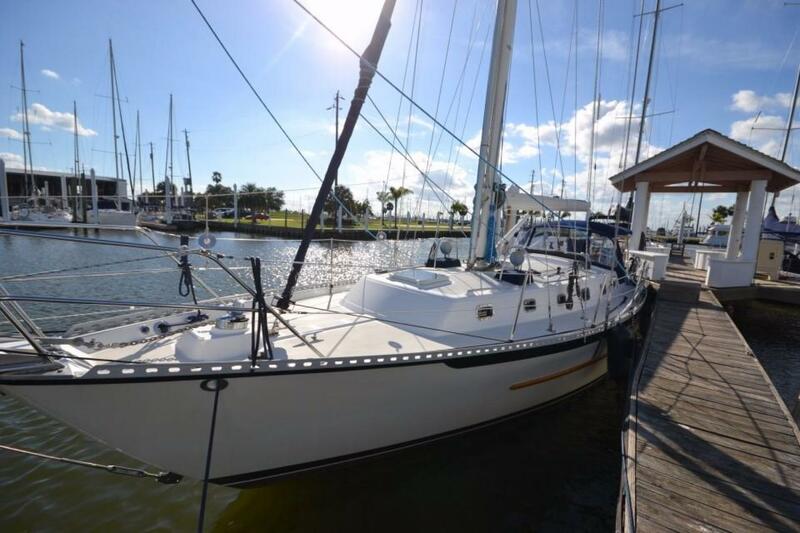 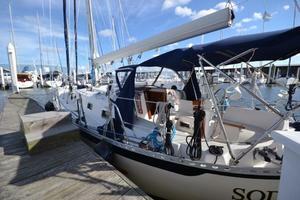 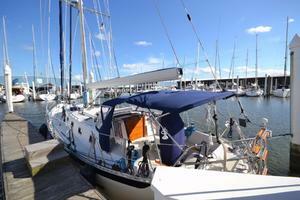 This is a rare opportunity in the marketplace to purchase a quality cruising yacht! Bill Crealock is considered by many to be the standout designer of rugged bluewater cruising yachts, with the PS-40 widely acknowledged to be the "jewel" in his crown. Sodalis is certainly one of the nicest examples of this pedigreed yacht. 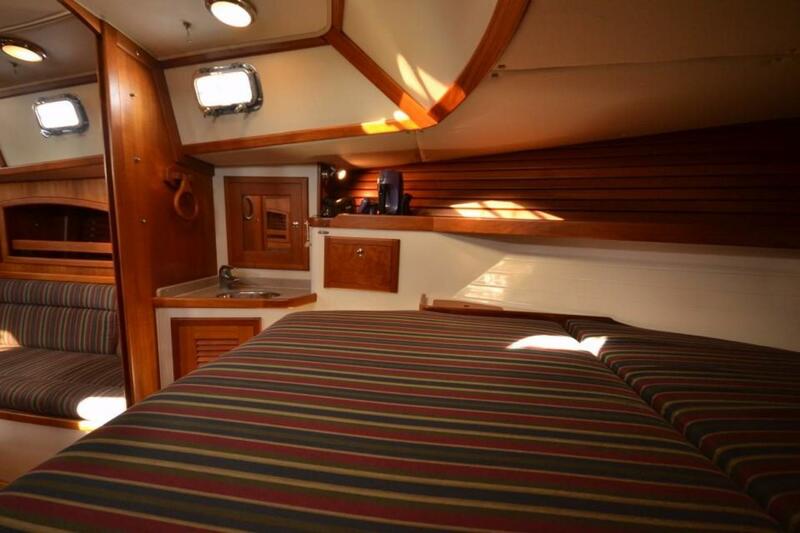 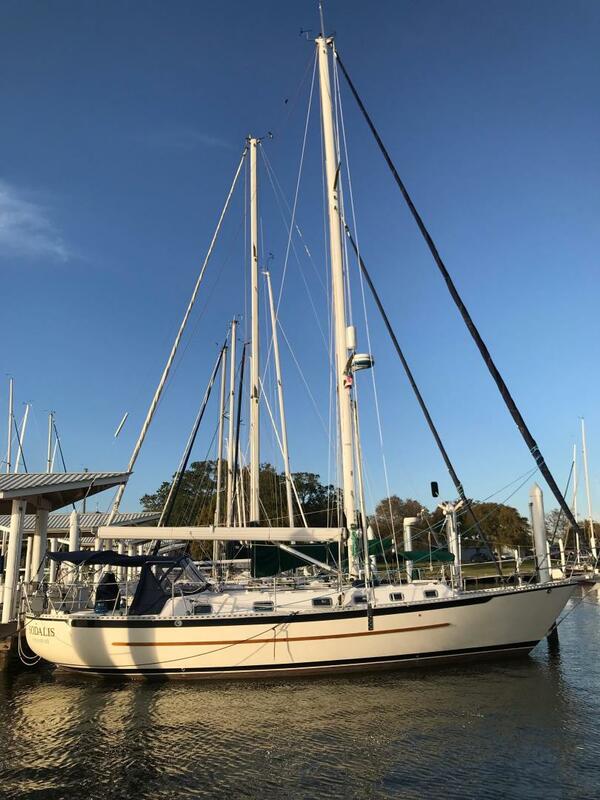 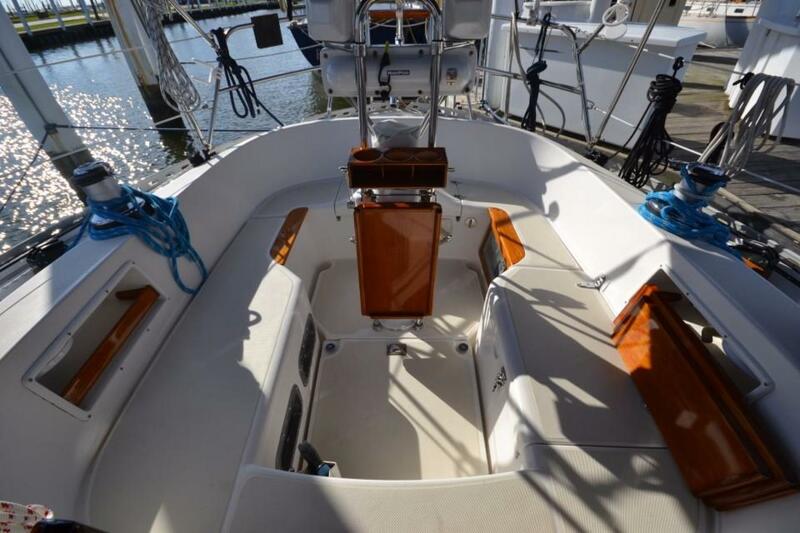 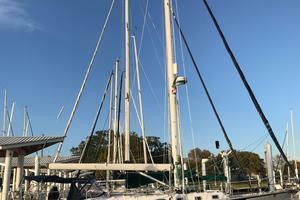 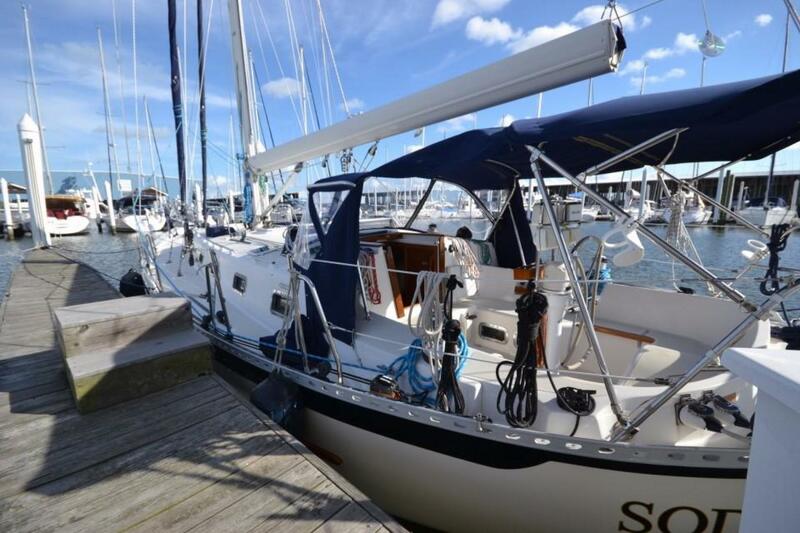 This Pacific Seacraft 40 with a shoal draft keel was commissioned in 2004 in Stonington, Connecticut where she was kept for two years and lightly used. 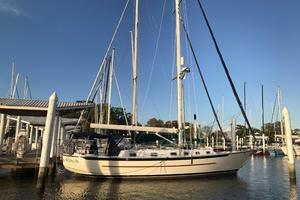 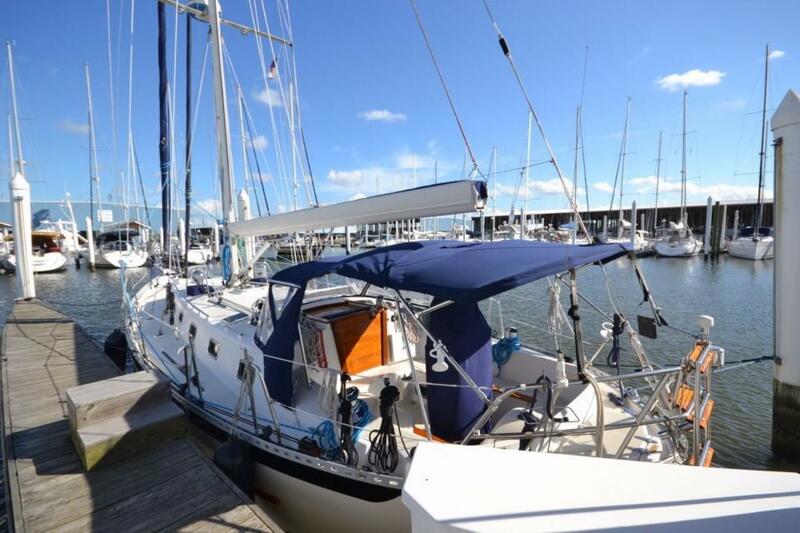 The current owner purchased her in November 2006 and moved her to Chesapeake Bay for installation of state of the art electronics. 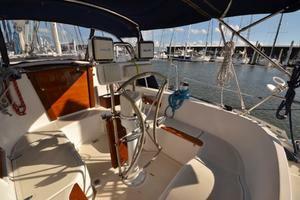 For four years, the owner made passages to Martha’s Vineyard, Bermuda, UVI, Turks and Caicos and the Bahamas. In January of 2010, she was transported to Texas by truck. 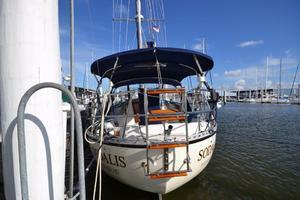 Since then, Sodalis has been sailed on Galveston Bay and the Gulf of Mexico. 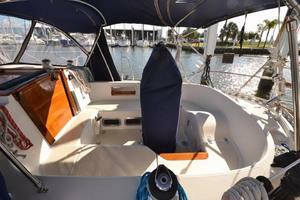 Numerous improvements have been made, including sail replacements and additions. She has been nicely maintained and well-tuned with many racing trophies to prove her speed under sail. Sodalis has raced in every Harvest Moon Regatta since 2010 and won first in class three times. 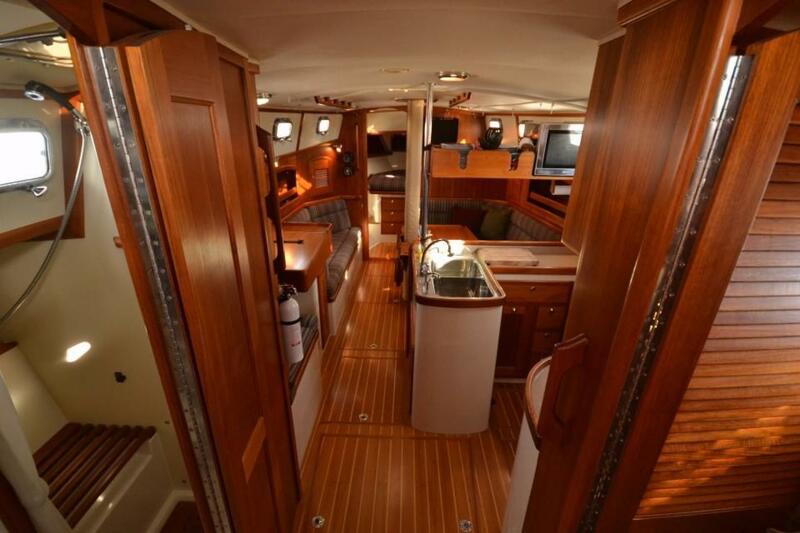 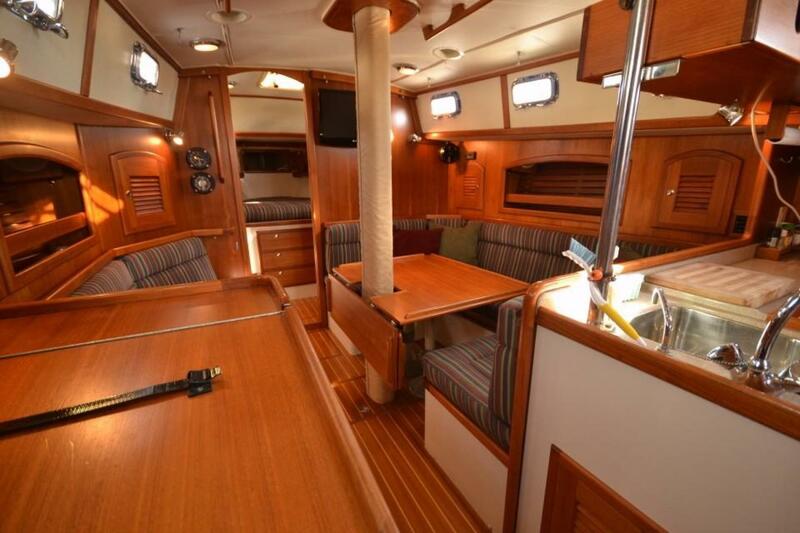 With her classic lines and striking hull, she attracts admirers in any harbor she visits. 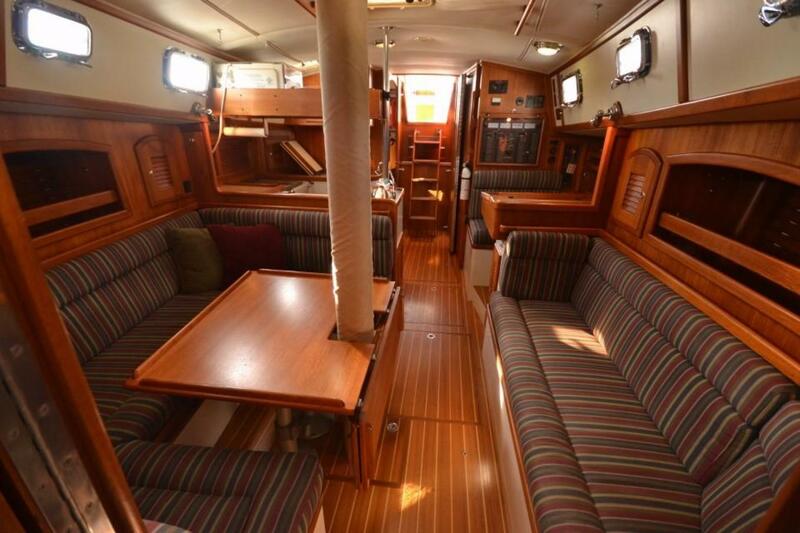 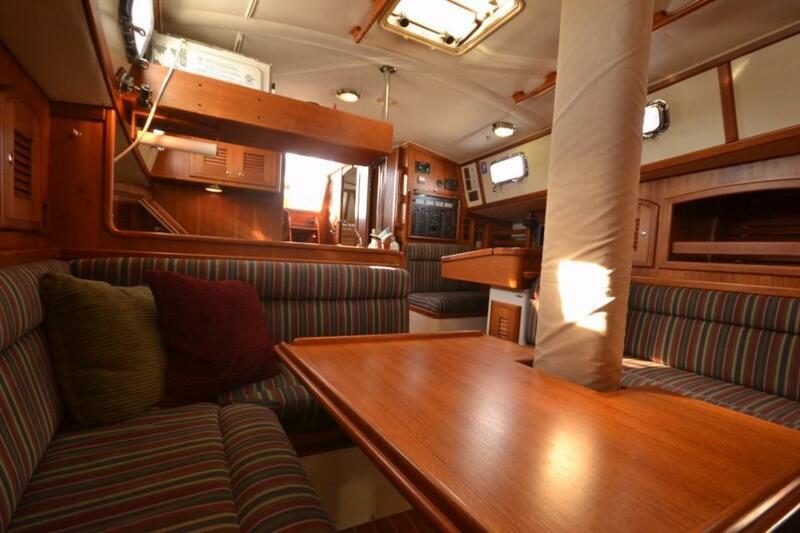 Her beautiful joinery below decks and nice accommodations combine with her sea kindly design to make her a truly practical cruising yacht. 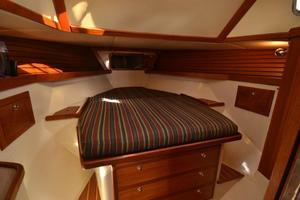 The interior maintains the function and form that feels comfortable and works. 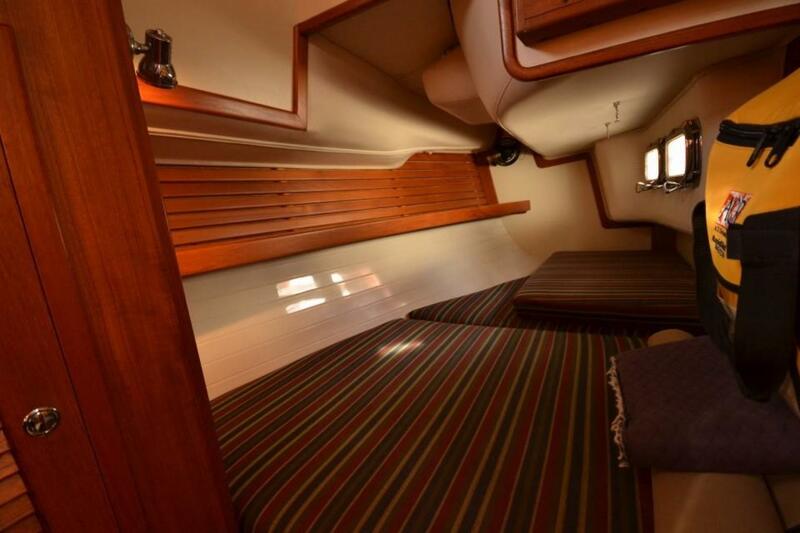 Passage through the cabin is straight and unimpeded. 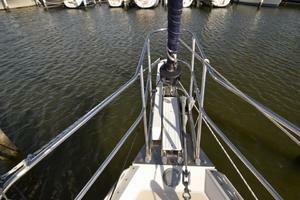 Visual space opens from the galley forward. 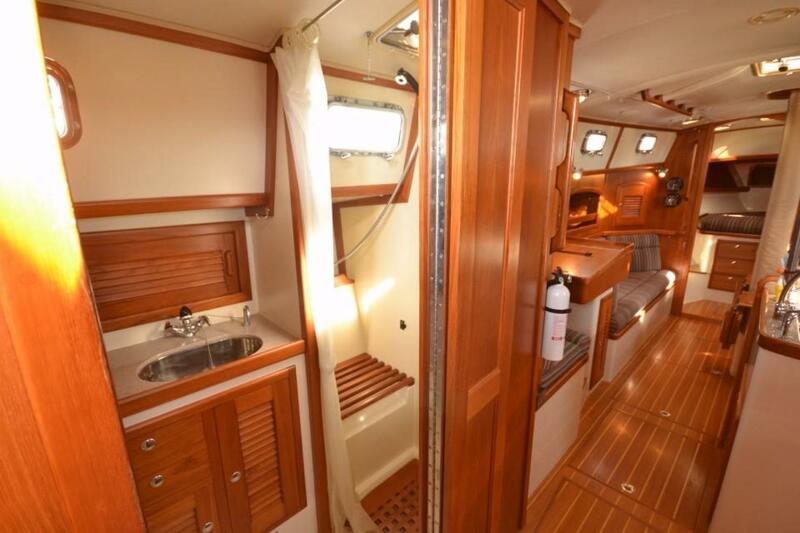 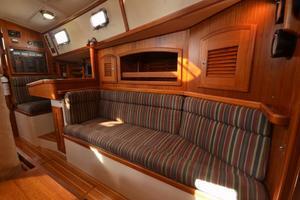 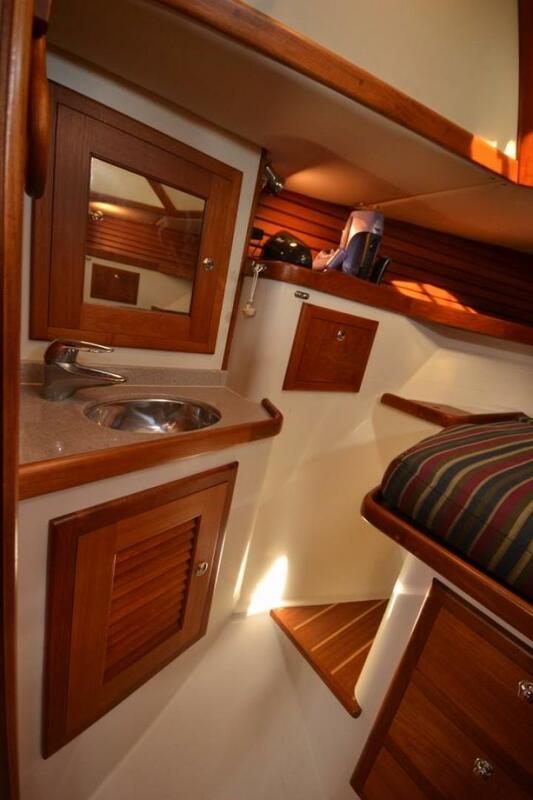 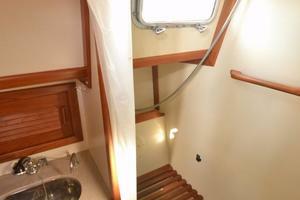 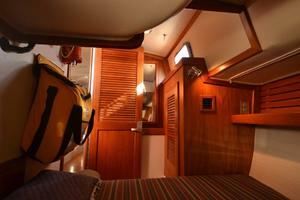 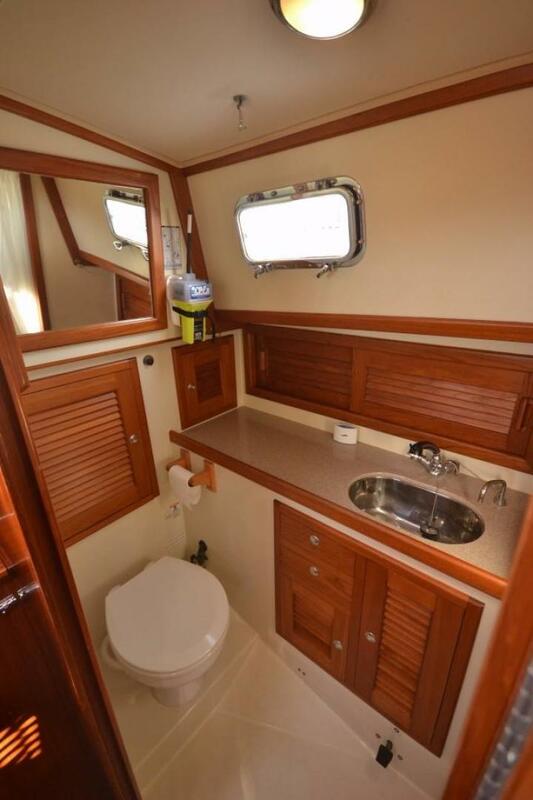 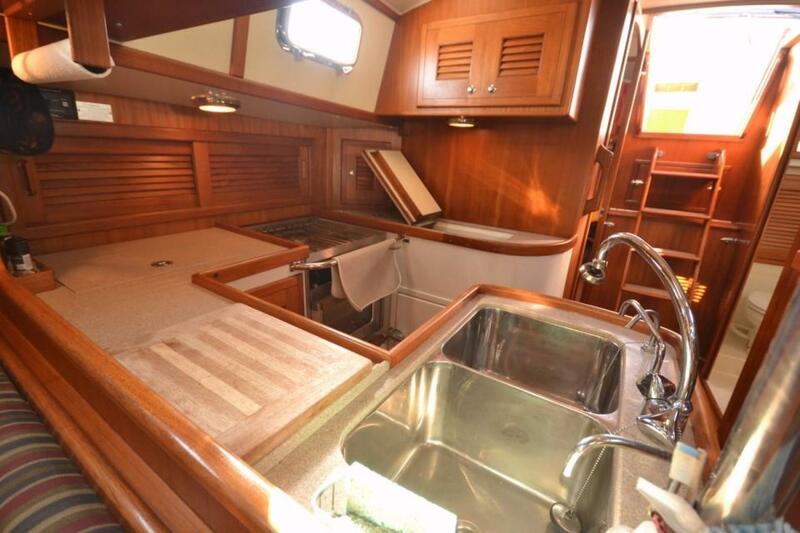 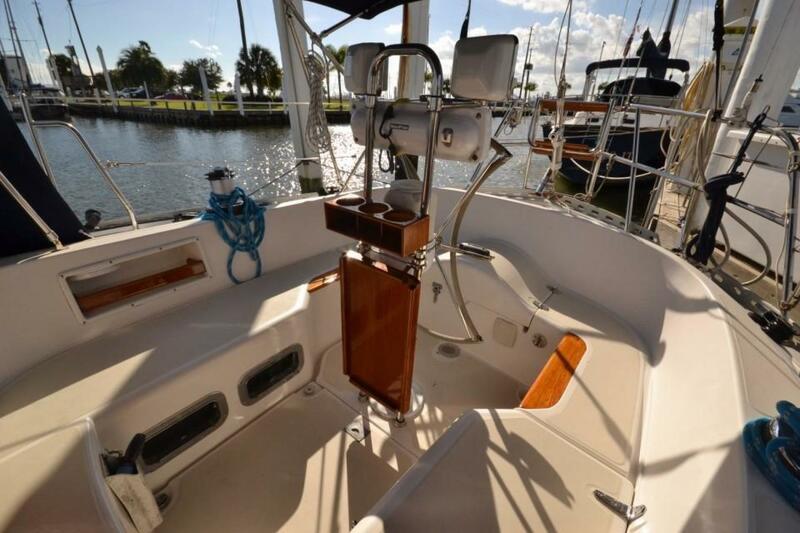 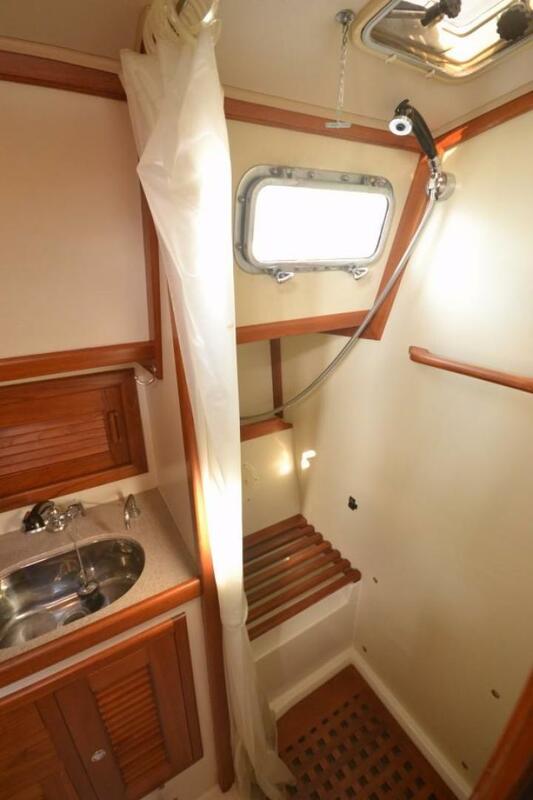 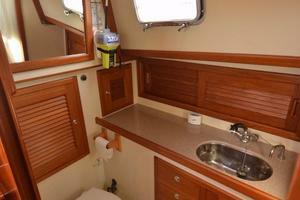 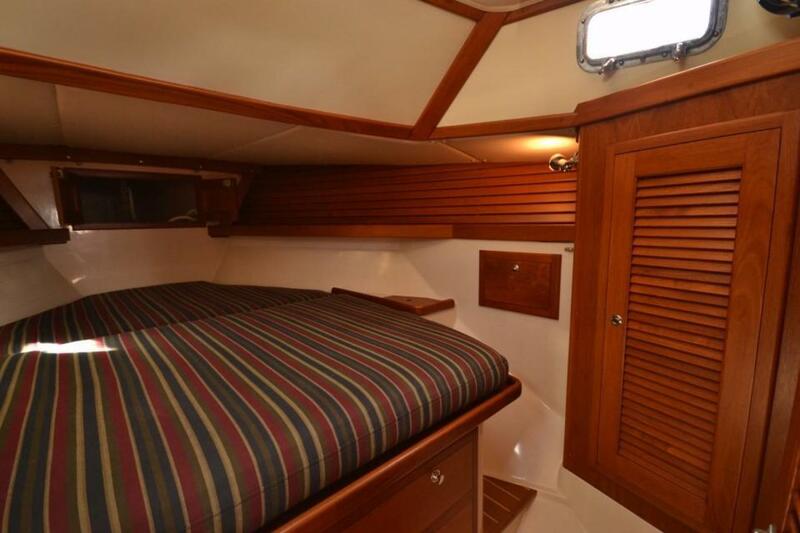 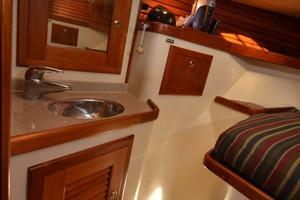 An aft head is located for easy access from the companionway. 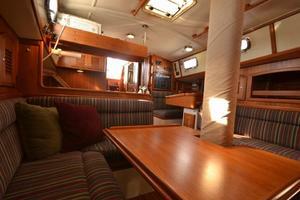 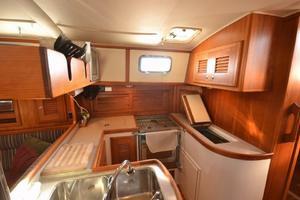 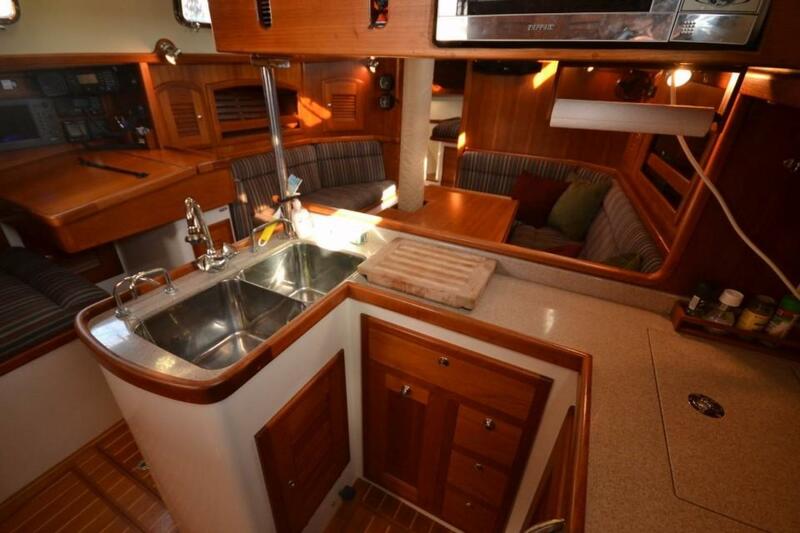 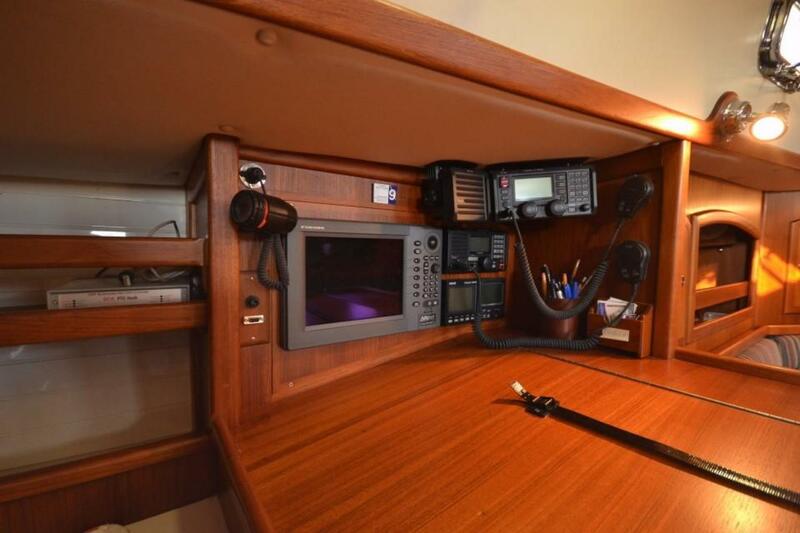 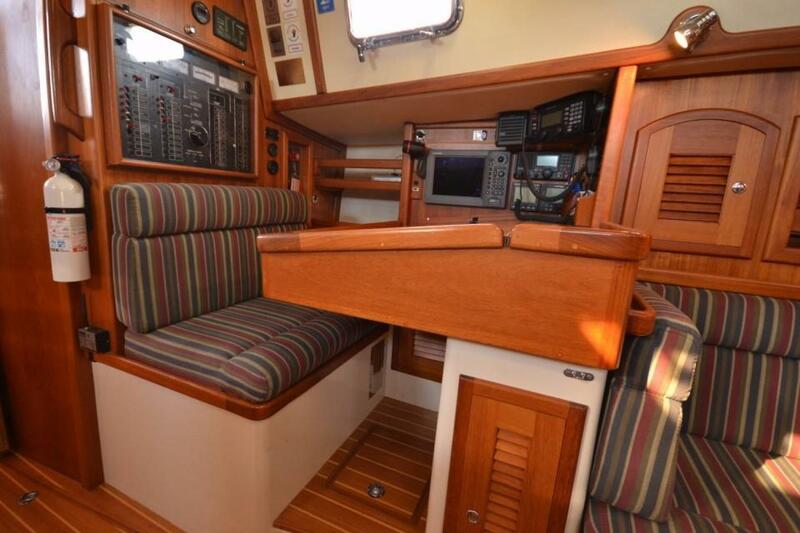 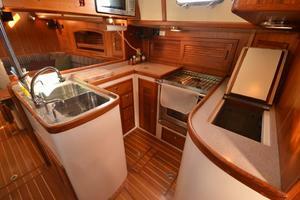 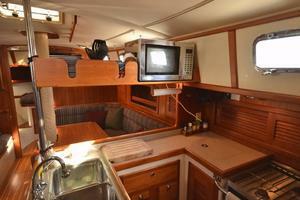 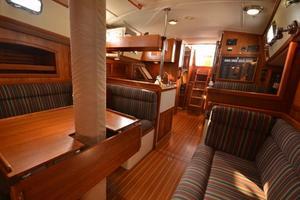 The galley is configured to provide hands-free support on either tack. Sleeps Seven: Two in the forward master cabin V-berth, two in the starboard aft cabin, two on the starboard, U-shaped salon dinette which converts into a double berth and one on the salon port settee. 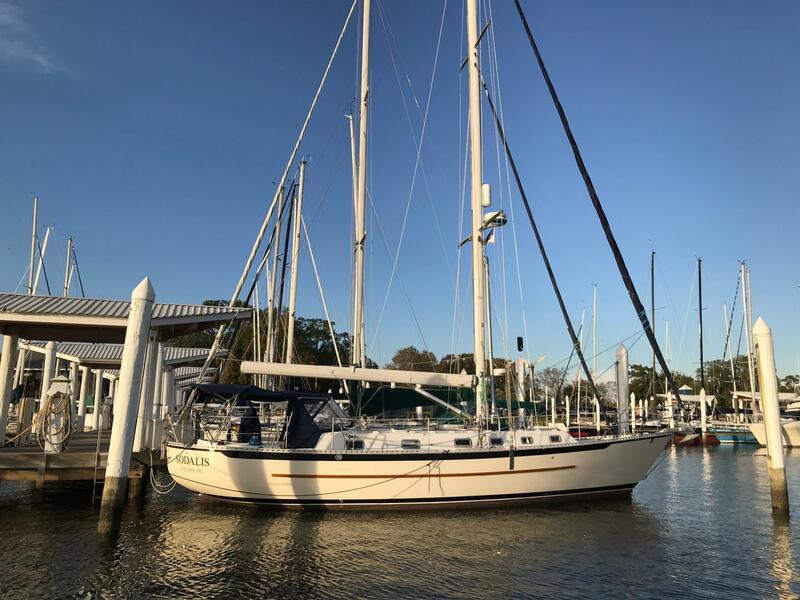 The Pacific Seacraft 40 maintains the form, function, and esthetic that has produced safe and attractive Pacific Seacraft sailboats since 1976. 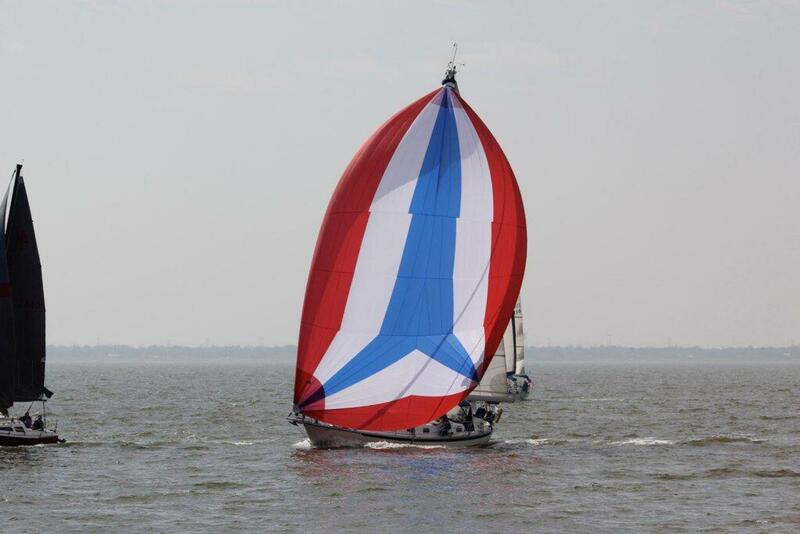 The hull shape has a moderate freeboard and graceful overhangs fore and aft. 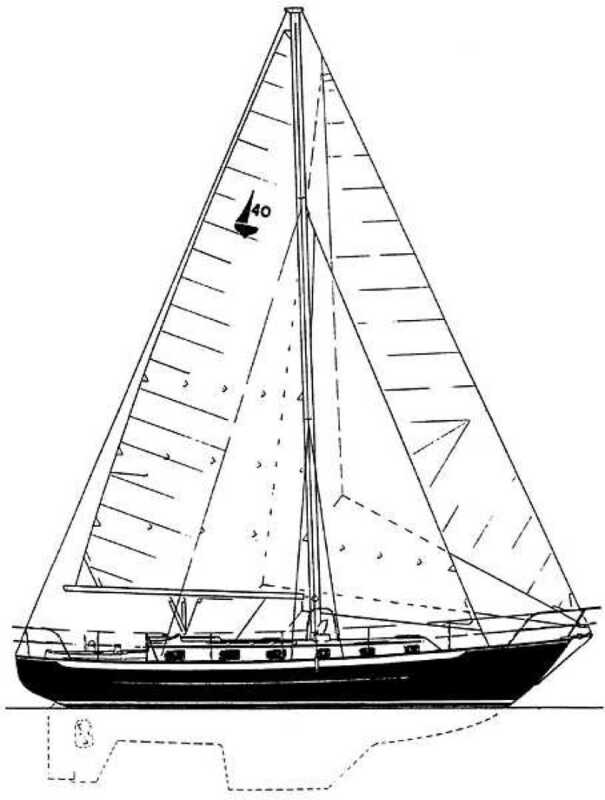 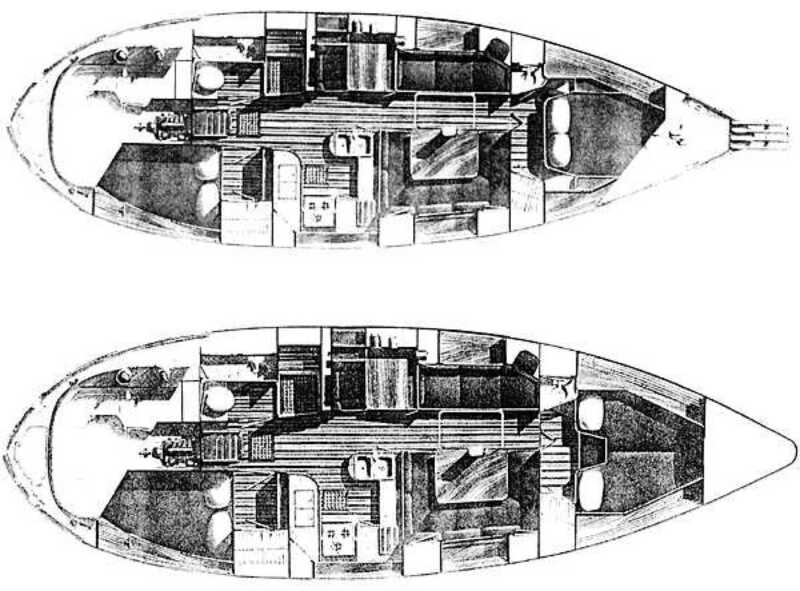 While the waterline and beam are proportionally larger than previous Pacific Seacraft - Crealock collaborations (translating into greater interior volume), the hull retains the sensible dimensions and proportions essential to upwind performance, directional stability, and the hydrostatics which effect ultimate stability. 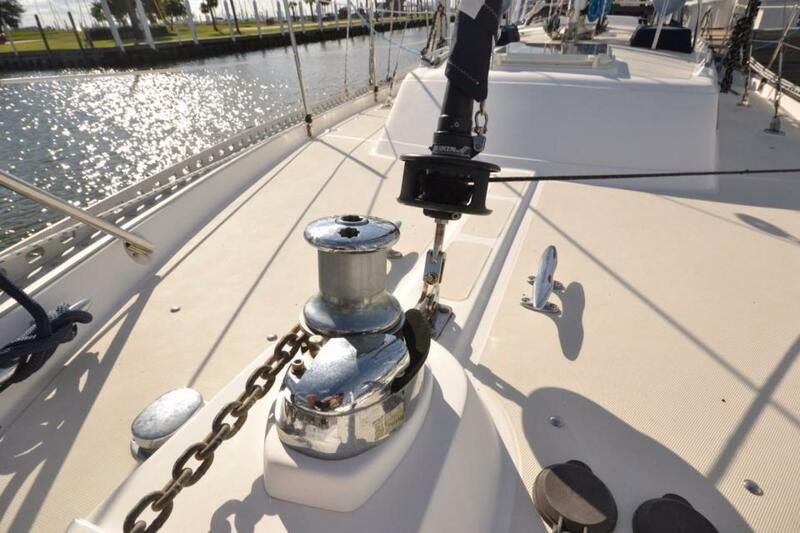 The keel is a long fin of external lead ballast bolted on and bedded in epoxy. 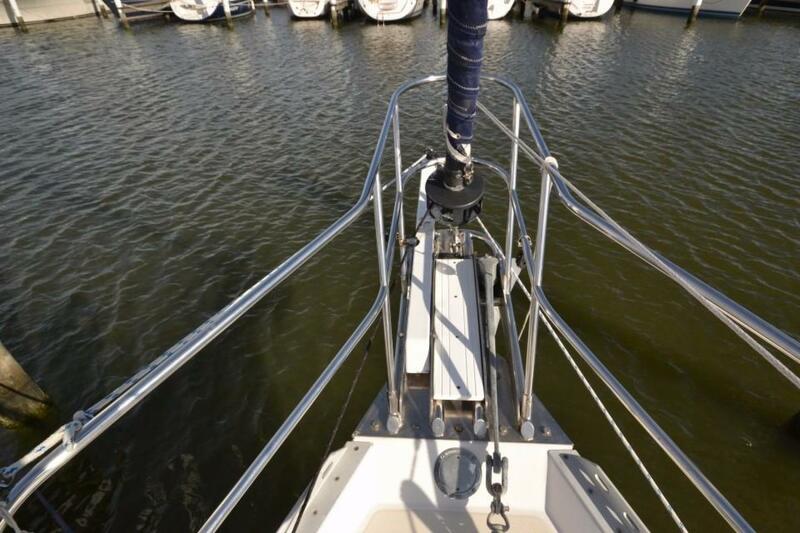 This joint is extremely strong and resistant to impact with underwater objects. 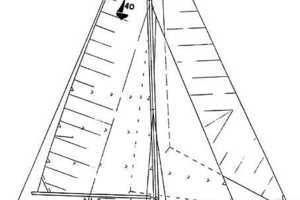 The difference between the shoal-draft and standard keels has been increased to take greater advantage of the respective characteristics of each. 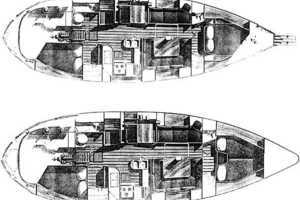 The combination of the keel plan, skeg-mounted rudder, deep hull sections below the waterline forward, and a carefully positioned rig plan all contribute to exceptional directional stability and handling. Antique white hull with black boot and sheer stripes, two tone deck, low maintenance aluminum toerail and stainless steel handrails, varnished teak accents, dodger and bimini. 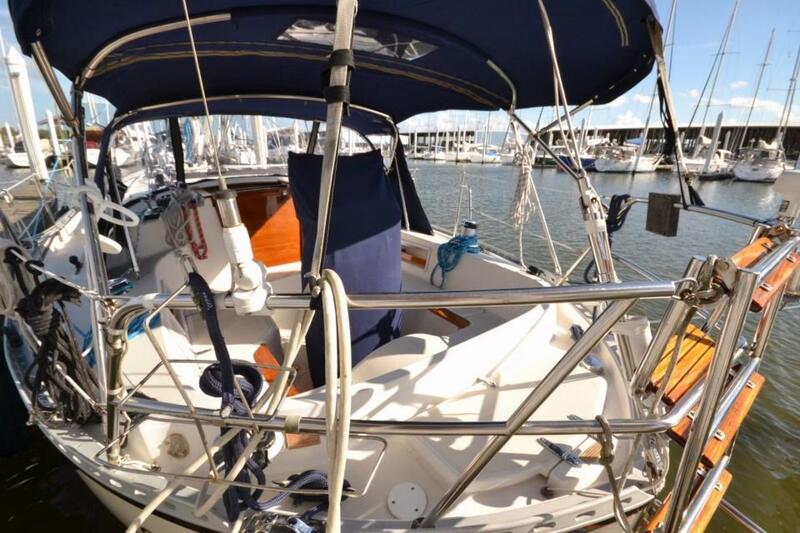 The cockpit is self-bailing and includes safety harness padeyes. Pedestal steering with single-lever control and pod-mounted instruments provide fingertip control. Extensive mooring cleats simplify docking. The Pacific Seacraft 40's deck and cockpit take into account the importance of safety when anchoring, docking, maneuvering, and sailing.